c-Jun antibody recognizes c-Jun, also known as activator protein 1, enhancer-binding protein AP1, proto-oncogene c-Jun, or transcription factor AP-1. Mouse anti Human c-Jun antibody recognizes c-Jun, also known as Jun activation domain binding protein, activator protein 1, enhancer-binding protein AP1, proto-oncogene c-Jun and transcription factor AP-1. JUN is the putative transforming gene of avian sarcoma virus 17. It encodes a protein which is highly similar to the viral protein, and which interacts directly with specific target DNA sequences to regulate gene expression. JUN is intronless and is mapped to 1p32-p31, a chromosomal region involved in both translocations and deletions in human malignancies (provided by RefSeq, Jul 2008). 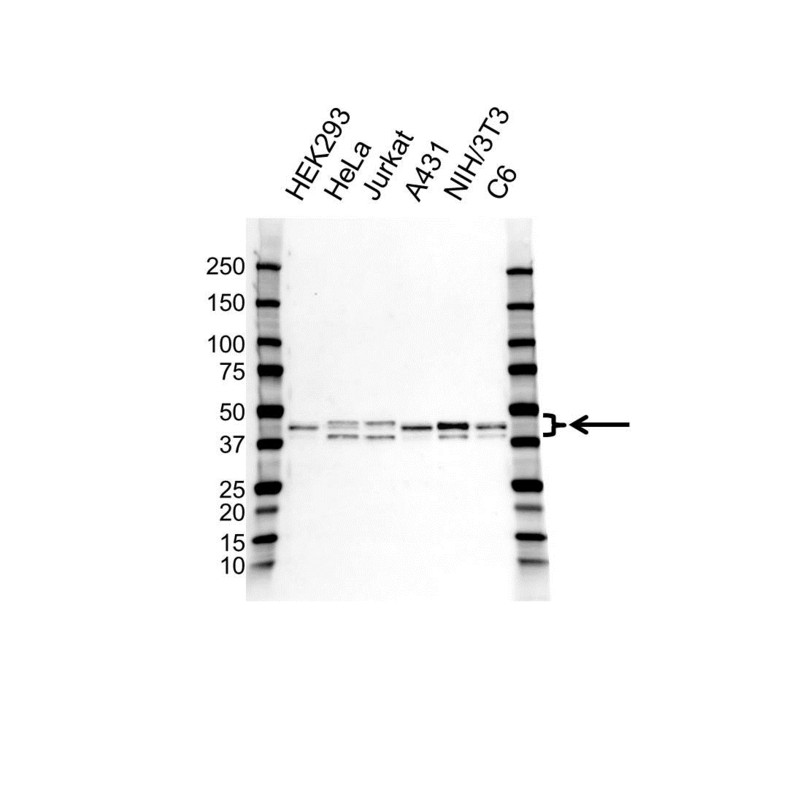 Mouse anti Human c-Jun antibody detects bands of 43 and 48 kDa. The antibody has been extensively validated for western blotting using whole cell lysates.